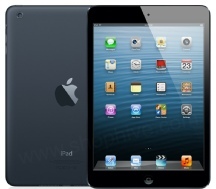 For other iPad Mini repairs please call, use our enquiry form or mail us at enquiries@mountainstreamltd.co.uk. GIVEN THE COST OF REPLACEMENT PARTS WE MAY REQUIRE PAYMENT IN PART OR FULL PRIOR TO REPAIR. WHERE DEBIT/CREDIT CARDS ARE USED FOR PAYMENT WE RESERVE THE RIGHT TO WAIT FOR THE PAYMENT TO CLEAR BEFORE ORDERING PARTS & COMMENCING REPAIRS. Please check your iPad model nr before calling. The model nrs for iPad Mini are A1432 (WiFi) and A1454/A1455 (WiFi/4G).These can be found on the rear casing of your iPad.